“But if Christ is in you, although your bodies are dead because of sin, your spirits are alive because of righteousness. 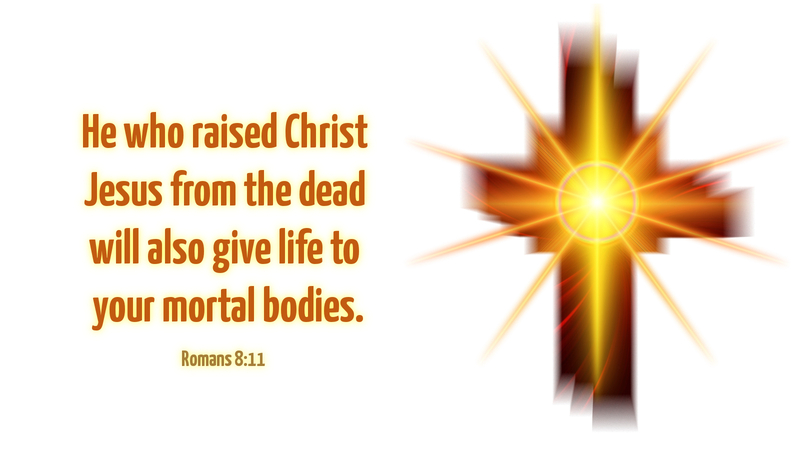 If the Spirit of Him who raised Jesus from the dead dwells in you, He who raised Christ Jesus from the dead will give life to your mortal bodies also through His Spirit which dwells in you” (Rom 8:10-11). Now that we have arrived at Holy Saturday, having concluded our Lenten observance for another year, I am aware of all the things we might’ve said, should’ve said, could’ve said about Lent, repentance, forgiveness and preparation for Holy Week and Easter. There is so much to “unpack,” we have to pick and choose. This is why it’s a blessing to have an annual “Lent,” to have many years in which to explore and dig into the many aspects of a Lenten observance. Yet here we are. It is Holy Saturday. We’ve had 40 days, excluding Sundays, of Lenten prayer, fasting and discipline. We’ve marked each day of Holy Week and last evening, liturgically, we saw Jesus breathe His last, saw Him laid in the tomb, saw the stone rolled into place. Surely the disciples were also unsettled on Holy Saturday, knowing Jesus was dead and buried, hiding behind locked doors—not having grasped what Jesus had said about being crucified and raised on the third day. There was no hope, no sense of expectation. Why would there be? Our Holy Saturday is blessed and a blessing—because we know that Jesus’ death leads to His resurrection. While we are not singing “alleluias” today, we may well be tapping our toes, anticipating, hearing the choir rehearsing “Jesus Christ is risen, today!” in the fellowship hall. Prayer: Spirit of the God who raised Jesus from the dead, dwell in me, give life to my mortal body—today! Amen.